Steering wheel has the dial on it. Panny doesn't have that correct?? That's definitely a Panny E Hybrid interior. 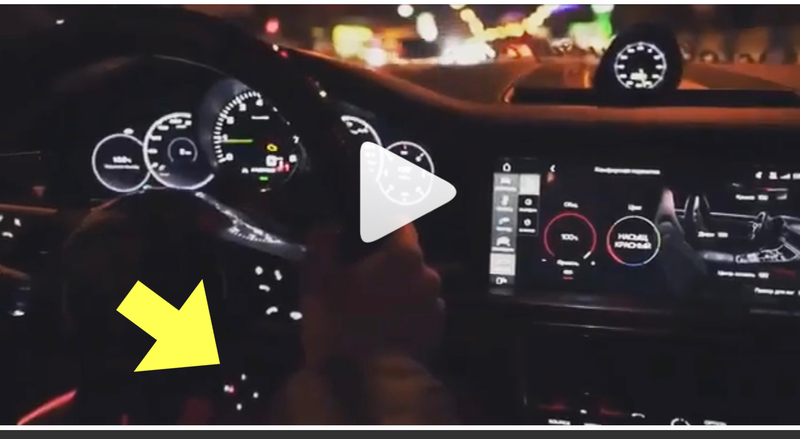 Notably, you can't see the flat bank of switches under the screen shown in the spyshots, and the center tach looks like the Panny / Cayenne, whereas the 911 spy shots have shown a different font / needle. No worries. Between my Cayenne Oil leak, my Cayenne Diesel Fix and One other Fix, I have about 10 days in a current Panny. The door panels look nice. I have been told by someone who saw a mule in person that the cubby holes in the doors no longer have the flip-out feature. Rather, it is netting, similar to the passenger footwell netting (which I, for one, never spec, even though it is free). I do not know this is for sure going to be in the 992 but I am relaying what I was told by someone who sat in a pre-production 992. Further evidence for the cost-cutting measures taken with the interior. That is not an interior improvement, to me, anyway. Netting instead of upholstered cubbies? That will probably be an expensive "weight reduction" option for "purista" aficionados, to go with a nylon strap door opener for a savings of the equivalent of a box of donuts rather than cost cutting! Chuckbdc - Perhaps. Like I said, I have no proof that this modification will actually make it to the production model. Just an observation a fellow RL'er made to me when he sat in a pre-production 992.
i think this is a very nice comparison of the two series. I'm sure the 992 will be great cars and if there are people that appreciate the more aggressive look of the 992, I'm sure they will love it. What I am happy to see as a 991 owner is that the 991 does not look outdated, in my eyes, compared to the 992. The lines are more classier IMO on the 991 and for me I prefer that over the 992's aggressive look. And although, I'm sure the 992 will grow on me and as more 992 models come out I will totally fall in love with them, but I'm confident that my 991 will withstand the test of time and remain a classic looking car. I'm sure some will criticize me for saying this but I would have hated to be a 996 owner when the 997s came out. 997 nailed it out of the park IMO compared to the 996. But this is not the case with this 991 to 992 transition, and to be honest it looks much more facelift than a change in series. 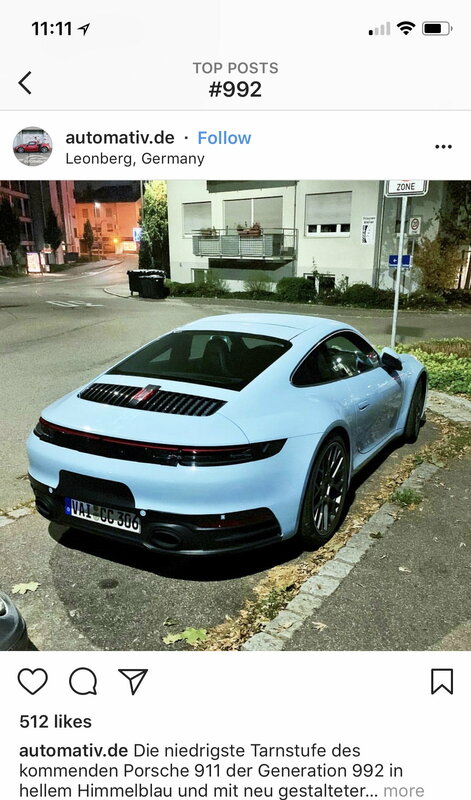 So much so that I showed the above image to non porsche owning friends and they honestly had a hard time distinguishing which was which. I mean the rear is quite pronounced and different in our eyes, but from some other angles, I even have a hard time recognizing which is which. I don't have that when comparing the other series cars like 993, 996, 997, and 991. There is already netting on the 991.2 GT3RS. Well said. I think this sums up the situation nicely. And it has a decal instead of a heavy metal badge. And, compare some Ferraris, where the inlay badge is like a $10 k option over a free decal! It’s funny because now in hindsight I think the 991 almost dated the 997 to the same extent the 997 did the 996. Didn’t feel like that at the time but I just can’t get excited by 997 anymore because I think the 991 is Soooooo much better. The big advantage of the 991 over the 997 was the aluminium in the body. The 991 is bigger but weighs the same or less. If they made an aluminium 911 the size of a 996/997 for the next refresh that would be great (not that I would not prefer a 993 sized vehicle in carbon fiber). A Ruf SCR with back seats and 991.2 styling. Interesting color that I came across on instagram.